Reasonable cause. Did the police officer, have reasonable cause, to believe that you were driving while under the influence of alcohol? Lawful arrest. Were you placed under lawful arrest before the officer administered the chemical test? .08% or higher BAC. Were you were driving with a .08% or higher blood alcohol level? Unlike the criminal DUI case, where the prosecution must prove, each and every element against you, beyond a reasonable doubt, the DMV must only prove these issues by a preponderance of the evidence, a more likely than not standard. However, if the hearing officer determines, that any of these three issues, were not proven, then the DMV must rescind, and set aside the order of suspension, and immediately reissue your driver’s license back to you. Some of the best DUI attorneys in Sonoma County, will tell you, that it is indeed difficult to prevail at the DMV. But, Santa Rosa DUI Attorney Steven Taxman, and his staff, have their own unique and effective style to guide you through the hearing process. First, we take these hearings very seriously, because we know that keeping your driver’s license is one of the most important consideration, for a client that has just received a DUI violation. Second, we represent our clients at the DMV, just as zealously as we do for the criminal case. For example, the forensic evidence, for one of our clients, showed that his blood alcohol level was a .23, almost three times the legal limit. While others may have lost hope, after our office subpoenaed the rest of the laboratory evidence, it was shown that the blood sample belonged to someone else. In other words, because of our effective advocacy we were able to show the hearing office that it was someone else’s blood. The DMV then set aside our client’s four-month driver’s license suspension, after it reviewed the evidence, exonerating our client from the allegation, that he was driving with a blood alcohol concentration of .08% or higher. Third, we know how to make a record at the DMV to preserve your rights. You have a right to appeal the DMV decision to a judge, who will review the record, to determine whether there was enough evidence, to support the hearing officer’s decision, and whether the hearing officer got your case right. If you have been charged with DUI, call Santa Rosa DUI Attorney Steven Taxman, to protect your rights at the DMV. We fight hard to keep your driver’s license so that you can stay on the road. The DMV will suspend your driving privileges for one year if you refused a chemical test. Santa Rosa DUI Attorney Steven Taxman successfully defends his clients at DMV refusal hearings. Reasonable cause. Did the officer have reasonable cause to believe that you had been driving in violation of the California DUI laws? Lawful arrest. Were you placed under lawful arrest before allegedly refusing to take a chemical test? Advisement of consequences. Did the officer properly advise you of the consequences of refusal in accordance with the California Implied Consent Law? Refusal to be tested. Did you in fact refuse to submit to or fail to complete a chemical test? Santa Rosa DUI Attorney Steven Taxman takes DMV refusal hearings seriously, because the penalty for refusing a chemical test, is a one-year suspension of your driver’s license. We know that even though the DMV has accused you of refusing, there are many factors that must be taken into consideration before the DMV can take away your license. One of the most important factors that must be determined, is whether the officer properly advised you, of your obligations and the consequences of refusal. We have found that the law on chemical test refusals is precise and technical and even one word can make a difference between losing your license for one year, or continuing to drive without any disruption. Santa Rosa DUI Attorney Steven Taxman gets results at refusal hearings. For example, we represented a client who ran through a roadblock and crashed into a sergeant’s police cruiser. The officer asked our client to take a chemical test, but he refused. When the officer admitted at the hearing that he left his paperwork at the police station and couldn’t remember what he told our client about his obligation to take a chemical test, the hearing officer set aside our client’s one-year driver’s license suspension. In another case, a client’s one-year driver’s license suspension was set aside, when the officer told our client, that a refusal to submit to a chemical test may result in a one-year suspension. This was an incorrect statement of the law. 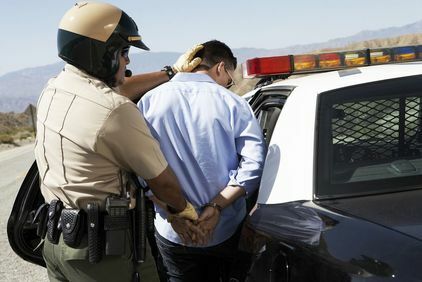 The police officer should have told our client that his failure to submit to, or the failure to complete, the required chemical testing will result in a fine, mandatory imprisonment if he is convicted of DUI, and the suspension of his driver’s license for a period of one year. If the DMV is accusing you of refusing to take a chemical test, call Santa Rosa DUI Attorney Steven Taxman, right away, because time is of the essence as you only have 10 days to request a hearing to contest the one-year suspension of your driver’s license.